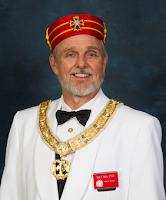 Have you ever stopped to wonder what led you to join Scottish Rite? Maybe you have, or maybe you’ve known all along exactly why you decided to invest your time and money into the organization. But if you haven’t thought about it for a while, especially if you haven’t attended in some time, then I ask you to take a few moments and ponder. Go ahead, we’ll wait. So do you remember? Chances are, whatever the reasons were, the same is still true today. The lessons taught in our degrees are the same. The fellowship we enjoy at each of our meetings is still there. The collective Masonic knowledge of our members is probably greater than ever before. As with any Masonic organization, the beauties contained in our body are derived not only from its principles, ideals, and philosophies, but from its members. That means that you and I change the organization and make it better simply by being there and participating. And as we’ve already seen, the reasons to participate are the same as when you joined. Please join us at our next stated meeting, and keep coming back.